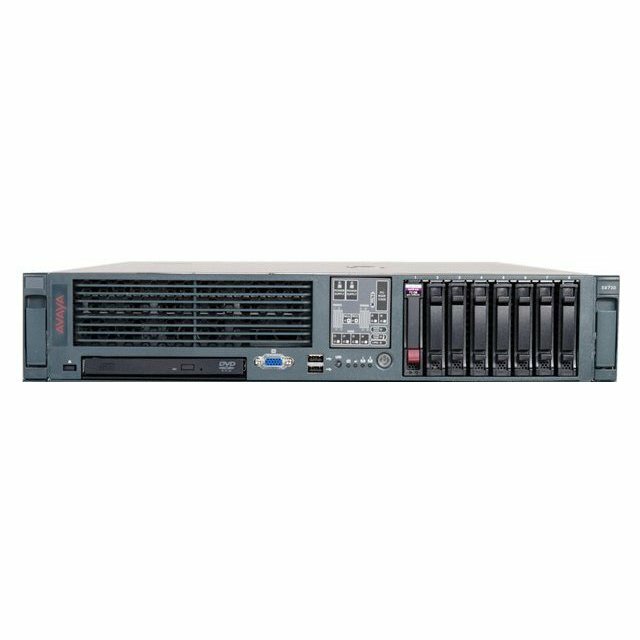 The S8730 Server, a new version of the Avaya flagship S87XX product line, reflects the Avaya core Server strategy to deliver on the price/performance promise of the Avaya Communication Architecture by regularly updating our server platforms to take advantage of new technologies and performance improvements. The S8730 Server is based on the powerful AMD Opteron processor with an Enterprise Linux operating system. The S8730 Server with Communication Manager 5.0 provides a rock solid foundation for a highly flexible converged solution that meets a variety of telephony needs. As with all S87XX Series Servers, the entire server complex is duplicated. This increases overall system availability and minimizes the risk of one component causing a failure. Additionally, the S8730 Server comes equipped with RAID level 1 controllers and an optional 2nd RAID hard disk drive. A second power supply is also optional on the S8730 Server. The S8730 Server, with hardware duplication, can process up to 600,000 Busy Hour Call Completions (BHCC) in a general call type mix. The BHCC for the S8730 with Software Duplication is approximately 250,000 in a general call type mix. The S8730 can support up to 36,000 stations and 44,000 ports, up to 16,000 IP endpoints (which is a cumulative total of IP trunks, IP stations and SIP trunks), and 8,000 trunks enabling it to support large multi-national corporations and contact center operations. Software duplication provides flexibility and choice of redundancy configurations. High capacity call processing server can handle the most demanding business environment. Common software base optimizes integration into existing networks and eases upgrades. Scalable architecture provides virtually unlimited growth options. Redundancy options provide high availability support. Unified System Management Tools facilitate improved management efficiencies.